Drainage problems can render premises unusable, yet it seems many facilities managers are taking an ad hoc approach to managing this area.  Roger Bulkeley, Sales and Marketing Director at UKDN-Waterflow talks us through why rationalisation might be the key…. Whether it is an office, gym, or retail outlet that you are managing, its drainage infrastructure will be in constant use and will therefore be prone to occasional breakdown. Blockages caused by fats, food or sanitary towels being flushed down the toilet or sink lead to blockages, which if left untreated will lead to fractures that in turn lead to pipes collapsing. Root ingress and pressure from vehicles above road level can also lead to pipes breaking. These intermittent failures can be extremely disruptive for businesses. Put simply, a building without functioning drainage is not a functioning building. Blockages, leaks and odours can render premises unusable, or at the very least deeply unpleasant places to be. Even when the effects are less immediately noticeable, obligations to environmental and occupation health legislation can sometimes mean that buildings with faulty drainage need to be closed down until the problem is fixed. For these reasons, facilities managers should have a proper drainage management strategy. Despite this, taking a systematic approach – whereby preventative drainage maintenance is built into the facilities management plans for a building in order to prevent any interruption to working practices occurring – is still not the norm. The relatively infrequent nature of serious drainage problems means that many of the FM companies we have worked with tend to engage a drainage supplier on a reactive basis, only attending to drainage when a problem has already occurred rather than working to prevent problems happening. As well as meaning that occasional disruption caused by drainage breakdown is almost inevitable, this approach means that facilities managers miss out on the many real cost and efficiency savings that can be achieved by taking a systematic approach and rationalising the drainage supply chain. Even for facilities managers who are supporting just one or two geographically concentrated premises, the benefits of rationalisation are numerous. Maintaining consistence of quality across several different premises or geographical areas can be a significant challenge for facilities managers. Establishing and maintaining standards of service from a patchwork of local suppliers is notoriously difficult – especially if you are only likely to work with that supplier perhaps once or twice a year. Similarly, navigating the way around myriad local pricing structures and billing methods is a waste of time and resources and makes it difficult to forecast what budget may be required for the maintenance of drainage infrastructure across different regions. By contrast, streamlining activity so just one national supplier is used means that that billing can be centralised, and standards set across all regions. Because a good national supplier will have set customer service and delivery KPIs across its business, facilities managers can be confident that the same high levels of performance are being received from suppliers across the board. In addition, working with one drainage provider will actually often be much cheaper than engaging several different suppliers. An argument against rationalisation is that by essentially allowing a provider to have their own ‘mini monopoly’ in a business its service and costs will become uncompetitive. Usually the opposite is true. Contracts to supply services to several premises, sometimes nationally, are highly sought after and providers know that they have to deliver the most competitive package in order to find and keep hold of these agreements. This can be contrasted with the mindset of a smaller supplier who with no guarantee of sustainable income and now substantial contract to protect, may be more inclined towards price inflation. Larger providers such as UKDN-Waterflow are more likely to comply with Water Research Centre’s (WRc) Drainage Repair Book or the ‘Drainage Repair Bible’, which defines the Association of British Insurer’s (ABI) adopted industry best practice for drainage investigation and repair and ensures that only work that is absolutely necessary will be carried out. Working with a national operator can also result in the scale of provision being greatly enhanced. Whereas local providers will often be most experienced in simple unblock jobs,larger businesseswill be adept at dealing with the complete breadth of drainage problems, often on an industrial scale. They are also more likely to have invested considerable funds in the most efficient ways of working, such as the use of no-dig technology and CCTV diagnostics. This new technology resembles key hole surgery, in that it can allow a localised repair to take place without the need for invasive excavation work to take place. A high pressure jet is used to clean the drain or sewer before a CCTV camera is put down the drain in order to ascertain the level of damage and diagnose the most appropriate method of repair. 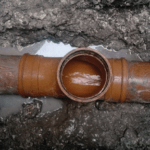 The two most common types of no-dig repairs are ‘cured in place pipe’ (CIPP) lining, either for the full length of the sewer or drain, or a part length ‘patch’ repair. A CIPP lining is a repairing pipe in the form of a flexible tube impregnated with a resin, which is placed and inflated within the original ‘host’ pipe. This then produces a new pipe within the host pipe after the resin cures. A full length repair will run from manhole to manhole. Where the affected area is more localised, a patch repair is more appropriate, whereby a small patch is placed over the affected area. Neither of these methods involve digging up the pipes or surrounding areas meaning that disruption to businesses is minimised. Working with one supplier can also mean that they can work with you to develop a tailored drainage strategy for your business. The wear and tear on a building’s drainage will largely depend on what it is used for. For example, gyms and spas are likely to process a great deal of wastewater, meaning that their drainage infrastructure will be under more pressure than, for example, a shopping centre. Prevention is better than cure, and a good drainage provider will not only be able to provide guidance to employees about how to lessen wear and tear on drainage, they will also be able to identify the key drainage pressure points for your business and recommend maintenance work that will save money in the long run. Similarly, regular preventative drainage ‘health checks’ for buildings can be included as part of a contract. These are key, not only to help eliminate ongoing drainage problems, such as blockages, but also to ensure that more serious drainage problems – such as subsidence – are detected in good time. Simplifying processes, streamlining costs and putting together preventative and contingency plans is the bread and butter of any good facilities manager. Rationalising drainage suppliers is one way of easily achieving this, as well as ensuring that your building’s pipes and sewers are in the hands of the experts.